AN affordable value-rich package with ground breaking technology is how Volkswagen is spruiking the new Polo and at first glance it is hard to argue. It is harder, still, to turn your nose up at the launch price starting from an incredible drive-away $15,990 which is likely to cause some jostling excitement in this small car segment. This new VW Polo owes much to the Golf 7 borrowing both cosmetic and under-skin features as Volkswagen looks to capitalise on the zippy number's ever-growing popularity. An energetic performer for the brand, more than 3600 units have already been sold this year and the new-addition Polo is likely to boost those figures. There has been a concerted effort to reduce the complexity of the model range with choices moving instead to the equipment packages on offer. 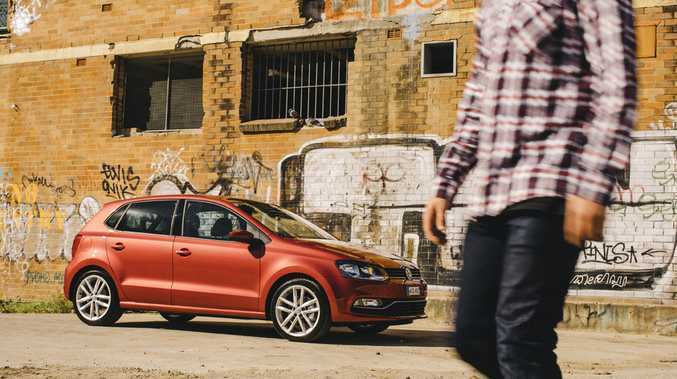 The Polo is offered in two petrol engines 66TSI and 81TSI with manual and DSG transmissions both of which are lighter and more responsive than the outgoing models. The 66TSI Trendline available as a five-speed manual or seven-speed DSG is a gruntier unit with 160Nm@1400rpm compared to the previous 132Nm@3800rpm while the 81TSI Comfortline offered as a six-speed manual or seven-speed DSG retains the outgoing torque figures (175Nm@1400rpm). Volkswagen's Blue Motion Technology, credited for delivering an enjoyable yet efficient drive, is at the heart of the Polo's selling points with features like start/stop functioning and brake energy recuperation combining to produce impressive fuel economy. Official figures for the manual and DSG Polos stand at 4.8 litres/100km and 4.9 litres/100km - a 20% saving on the outgoing model which lets face it was no slouch either. The interior boasts high-quality materials both in seat fabrics and console plastics with a 12.7cm touch-screen infotainment system taking pride of place. The exterior, too, takes much of its inspiration from the Golf 7 with sharp dynamic lines and updated bumpers. Safety is five-star with a host of assistance technologies including adaptive cruise control, city emergency brake and fatigue detection available in the Polo for the first time.